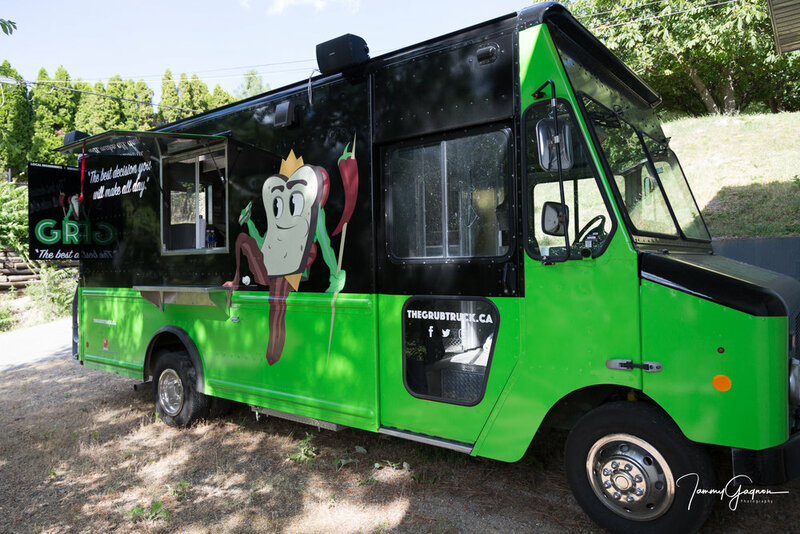 We're providing Vernon, BC with uniquely flavoured sandwiches made from locally sourced ingredients. All made from scratch. The best decision you will make all day. "The best decision you will make all day." The Grub Truck features unique flavour options with locally sourced ingredients like produce, breads, and cheese, in fresh made from scratch dishes. We do not used processed foods. The main selection on the truck is gourmet sandwiches, with chicken, beef, turkey, vegetarian options. Other features include specialty lemonades, cold brewed, organic ice coffee blends. 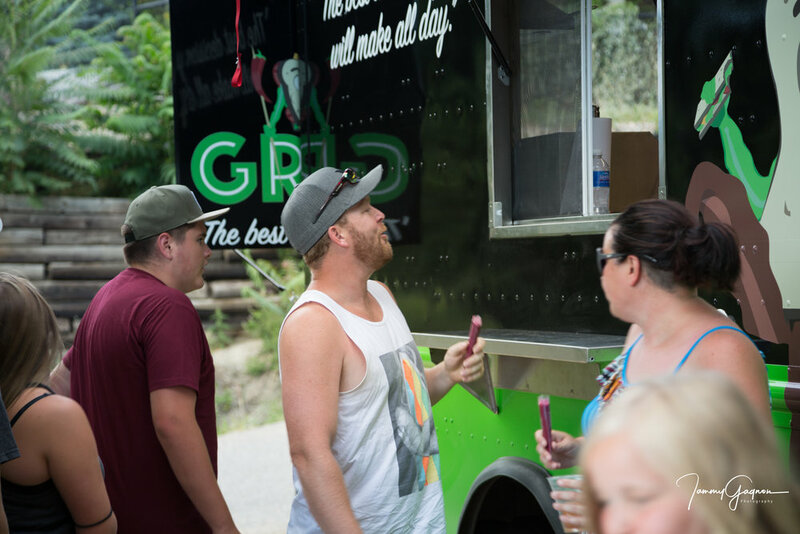 Our healthy homemade frozen treats are for adults and kids made with always fresh seasonal Okanagan Fruit, no sugar added. Our menu keeps evolving as we source more local ingredients and learn want our customers want. Roast Turkey, Pea Shoots, Tomato, Candied Bacon, Smoked Gouda, Homemade Red Pepper Mayo and Homemade Spicy or Sweet Pickles. Red Pepper, Homemade Red Pepper Mayo. Hand Tossed Chicken, Super Slaw, Homemade Spicy Dill Mayo. Spinach, Bacon, Havarti, Homemade Tangy Ketchup and Homemade Spicy or Sweet Pickles. Homemade Lavender Lemonade made with Organic Lavender. Homemade Hand Tossed Mac & Cheese Bites, Crispy Chicken Tenders, Hand Cut Fries. and honey. No added sugar. The Grub Truck caters. 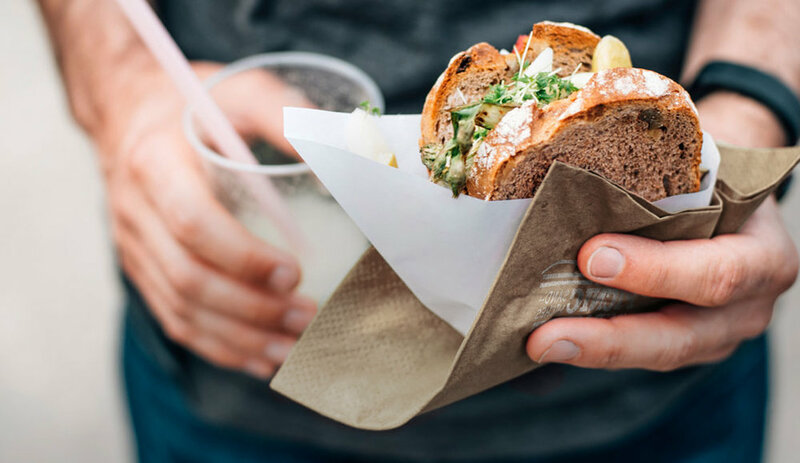 We can show up at your event and feed your guests our unique sandwiches with locally sourced ingredients. We would love to hear from you!